To add employees, go to Dashboard > Employees. You can either add employees one at a time using the Add employee button or you can import an existing list using the Import employees button. 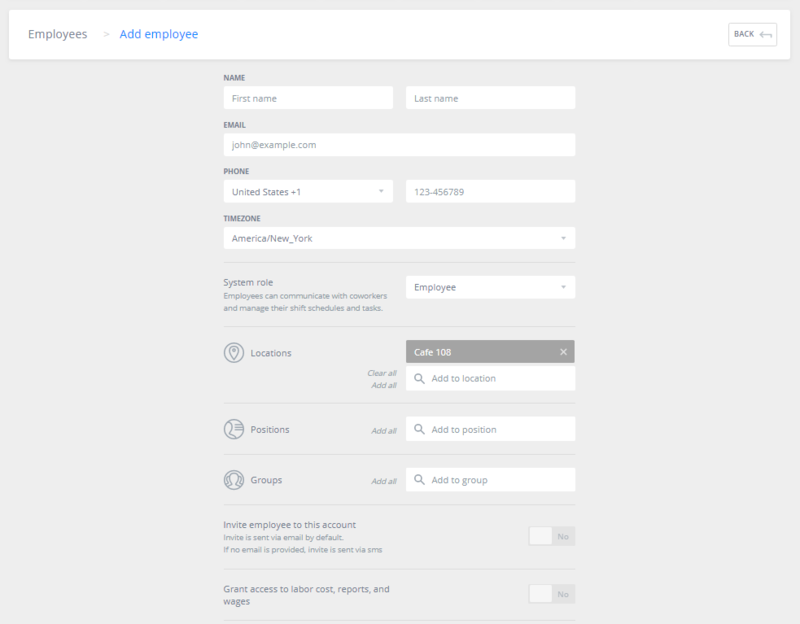 Clicking Add employee will bring up a blank form where you can add your employee's information. Be sure to include a valid email address or mobile number so they will receive their invitation to join your company's account. You can also assign a different system role, as well as locations, positions, and groups. If this employee will be added under the "manager" role, you can also choose to allow them to have access to labor cost information (wages, projected sales, etc). Once all their info is entered, click Save and they're ready to be scheduled.